Magnificent Bavaria sailing yacht: Model 32 Cruiser constructed in 2003 offers 2 Cabins and 1 toilet, a great option for 9 sailors. 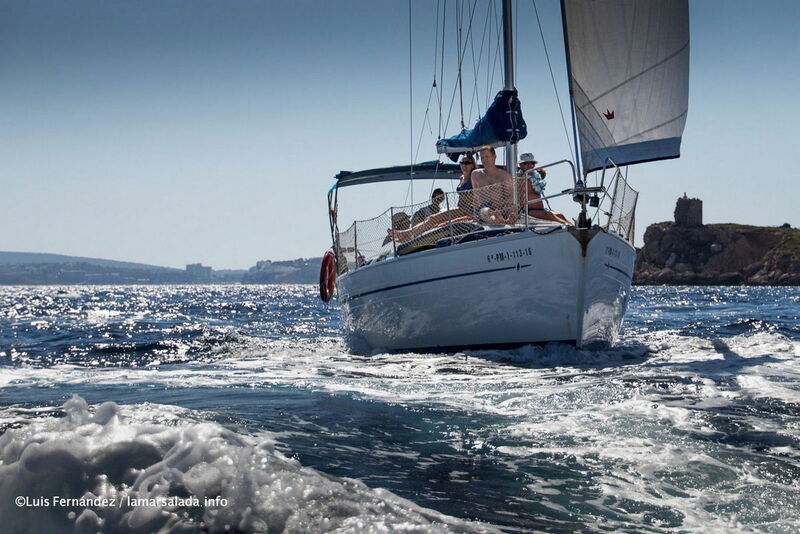 The best rental in Mallorca starting in Puerto de Palma. It holds 250 litres of water and 150 litres of fuel. Selection of deck equipment available: bimini, electric anchor, sprayhood. Electronics on board: cockpit speakers, mp3, speed. Other features: icebox, deck shower, electronic fridge. Our sailing yacht Bavaria 32 Cruiser is 10.5 metres long with 2 double cabins and a bathroom. 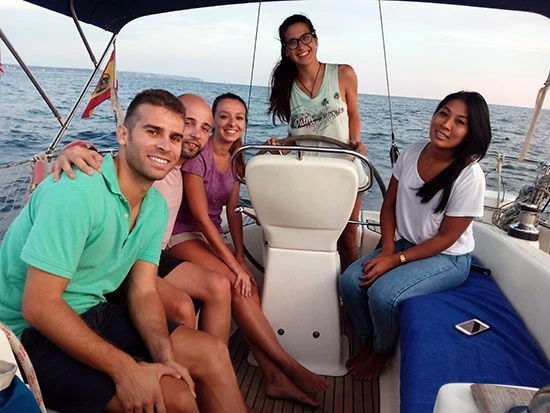 It is a spacious and comfortable sailboat with everything needed for a good day trip for up to 9 people, plus the Captain and sleeps four on board. It has a large sunbathing deck, a seating area in the cockpit and swim platform that facilitates access to the sea and boarding. It has a kitchen with refrigerator, oven, and hob with all necessary utensils. Has a hot-and-cold-water Stern shower. 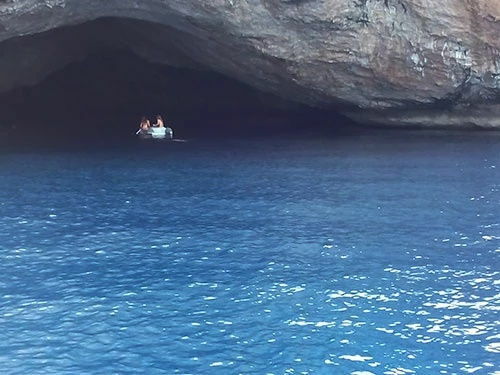 A kayak is carried on board for our customers to enjoy a fun activity and a dinghy with outboard allows access to beaches. The boat also has a stereo with CD/radio with Bluetooth and USB connection. And, of course, on the boat are all elements of security required for safe navigation. 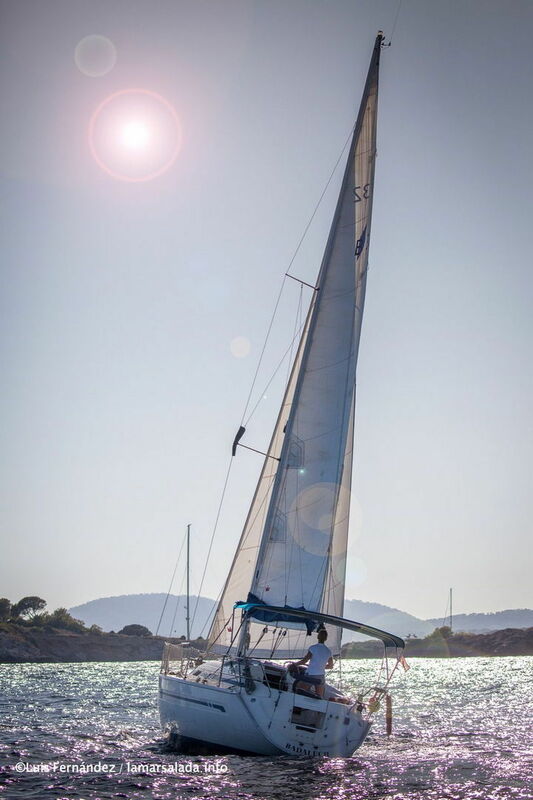 Besides sailing, we offer many activities that ensure you’re going to have a great time. From swimming off pristine beaches on sandy bottoms, to snorkelling in sea beds full of life. 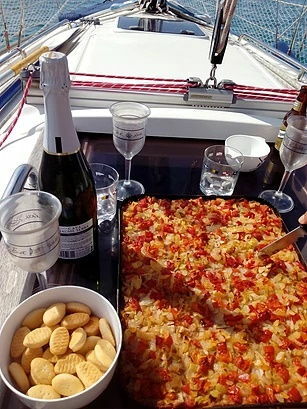 You can enjoy home-made food and an open bar during the voyage. You can fish, take photos, and paddle in the kayak. You will enjoy great fun moments with your family or friends and girlfriends. Kids will find fun alternatives to their tablets and phones! You can celebrate your birthday, your bachelor or bachelorette party. Enjoy a wonderful day aboard our fantastic sailboat and capture memories of the best moments of your vacation, weekend, or getaway. Remember that you can sail with us at any time of year.